This film by Japanese director Hajime Kimura is composed of 2400 images, created one by one with a digital brush. Sun works at a hair salon at the mercy of the salon owner. One day, she finds out the man she has been secretly in love with is going back to Korea for military service. Toronto filmmaker Eui Yong Zong was born in South Korea, raised in China, and came to Canada at 16. 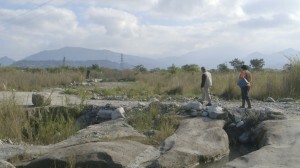 His film My Grandpa won the Allan King Memorial Prize and screened at the 2012 Reel Asian Film Festival. In rural Taiwan, a man comes to terms with Confucian filial piety as he and his father work on an orchard, grafting the scion of a Japanese pear tree to the stock of a Taiwanese pear tree. Philip K. Liao is a Taiwanese American writer, director, and cinematographer. He studied film at New York University Tisch School of the Arts Asia in Singapore. His work has been screened at film festivals. 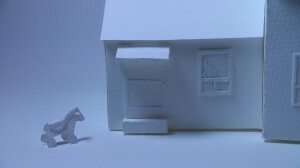 The camera wanders through a miniature house that has been painstakingly constructed out of white paper; the family is absent, questions linger. 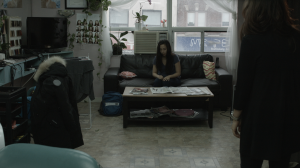 Carol Nguyen is a 17-year-old film- maker who is a student at Etobicoke School of the Arts. Her films have screened internationally and have received numerous awards. After the first week of her arranged marriage in a foreign land, Quyen must decide how the next chapter in her life will be written. Lucretia Stinnette was born and raised in Chicago and is currently pursuing her MFA at UCLA. While teaching English in South Korea, Lucretia began working for an organization that provides resources to marriage migrants; their stories inspired Quyen. 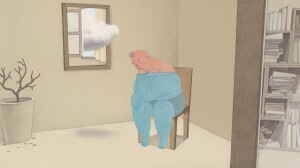 Evocative and humourous, Man on the Chair is an exquisitely rendered rumination on existence. Dahee Jeong has a BA in Visual Communication from Hongik University in Seoul, and an MA in Animation from Ecole nationale supérieure des arts décoratifs in Paris. Hamid struggles to care for his younger brothers when their father abandons them for Pakistan. A story inspired by true events. Writer-director Aleem Khan graduated in Film from the University of Westminster. 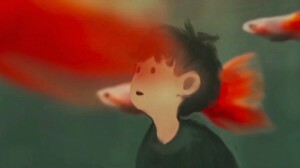 Three Brothers was commissioned by Film London and the BFI, and was nominated for a BAFTA for Best British Short Film this year.